By 2020, the European Union is aiming to increase the share of renewable energy to 20% of consumption. Our latest graphic uses Energy Information Administration (EIA) data to reveal that hydropower is the most widely-used renewable power source with the global hydroelectric installed capacity exceeding 1,000GW. 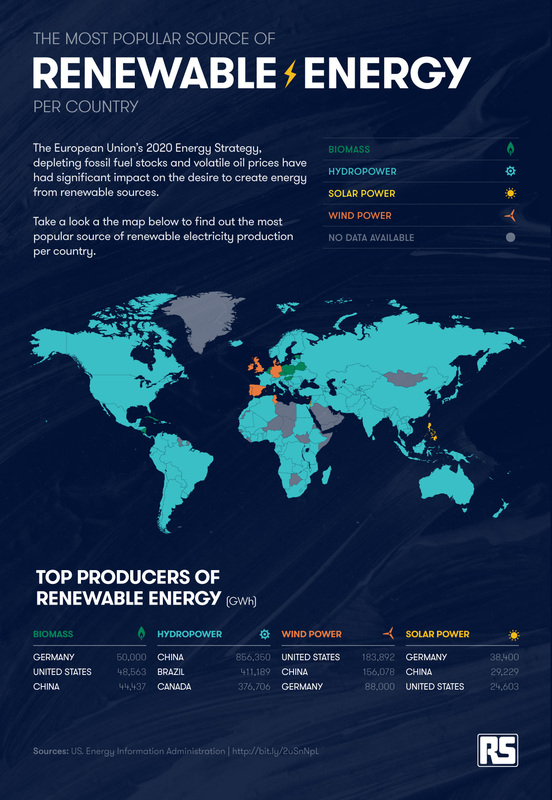 What's the most popular source of renewable energy in your country? Take a look below to find out.